This was captured in Iceland on the last day of my visit there in 2015. I find Iceland to be an amazing place and so much fun to photograph. You have incredible “big” views all over the country…enormous waterfalls, mountains & vistas that go on for miles and miles. Sometimes I find it hard to focus on one thing to photograph as there are beautiful views in almost every direction competing for your attention. This is Hraunfossar, or perhaps a better description would be one of the small waterfalls that make up Hraunfossar. 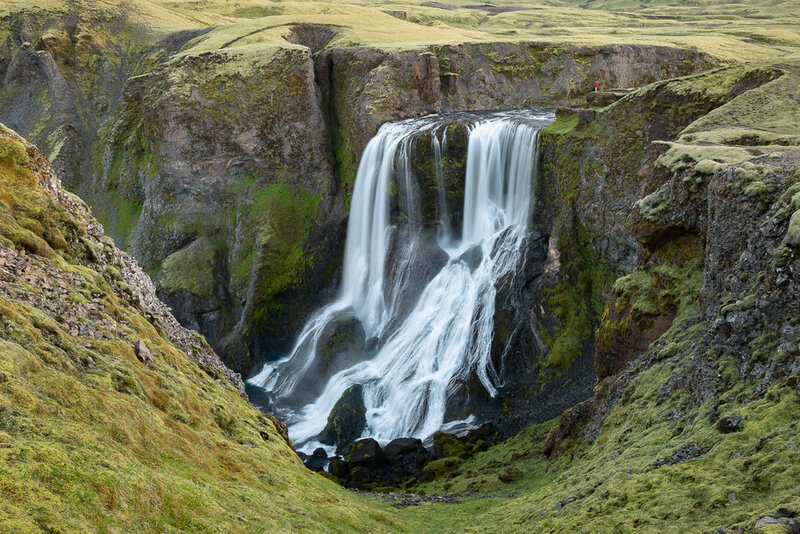 Hraunfossar consists of dozens, possibly hundreds, of waterfalls stretching across an area of several hundred meters. 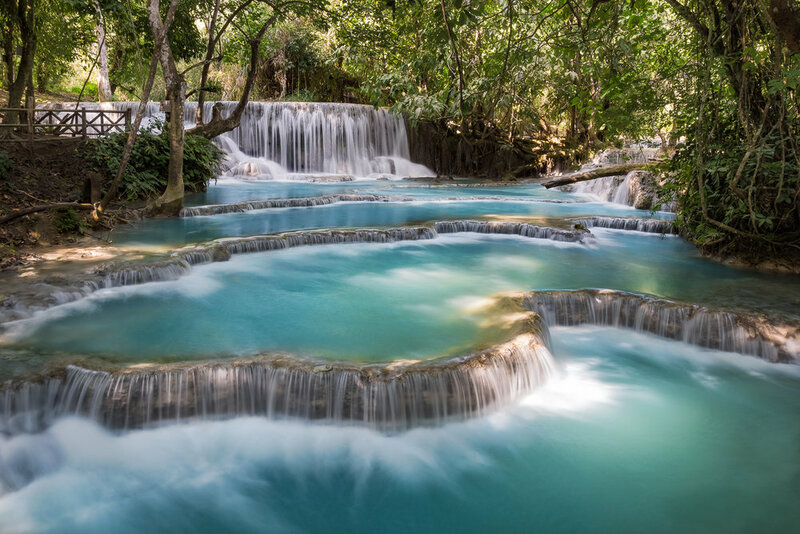 The waterfalls appear out of nowhere…seriously. Small fissures in the lava rock allow for water to escape, but you see no river or body of water above the falls, the water just comes out of the rock! There is a viewing platform where you can see most of the waterfalls that make up Hraunfossar. Standing on the platform I tried composing various images, but found the numerous falls more distracting than pleasing. Don’t get me wrong, it is an amazing sight, but difficult to photograph. After several minutes, I zoomed in and focused on one single waterfall…eliminating all of the falls that surrounded it. The simple beauty of one 4 foot waterfall was enough. After a week of gazing at some of the largest, tallest and most powerful waterfalls in the world, the last photo I took in Iceland was of one of the smallest.